Hope you’re well and ready for the weekend! Here at Music Magpie, we’re all about customer satisfaction, providing the best deals and great commission rates for all our affiliates. That’s why we are concentrating on the 2 for £3 multi-buy offer which ranges across both CD’s and DVD’s! Apple IPhones are also available onsite and refurbished handsets offer not only a 12 month warranty, but free delivery, SIM opening tool protector, cleaning cloth and USB cable! Not forgetting our other phone brands which are available across a variety of top brands such as LG, Sony, Samsung and Nokia. We have now included a section where customers can Pre Order the new projects from some of the industries finest artists such as RadioHead, Jake Bugg, Richard Ashcroft and many more. With this feature, customers are able to fast track the order of their favourite artists and their upcoming anticipated albums! If you need a reminder of the commission rates on buy and sell? We currently offer up 3% commission for all sales! We currently offer up to 7% commission for media, 2% for Electronics and 1% for repeat customers! As ever, if you have any exclusive or tenancy opportunities, please don’t hesitate to get in touch as we’re always keen to work closer with affiliates. Failing that get promoting today and earn yourself some fantastic commission. We have yet another offer on at Music Magpie for you to feast your eyes on, offers are coming in thick and fast so keep your eyes peeled for what else we have coming up in May. 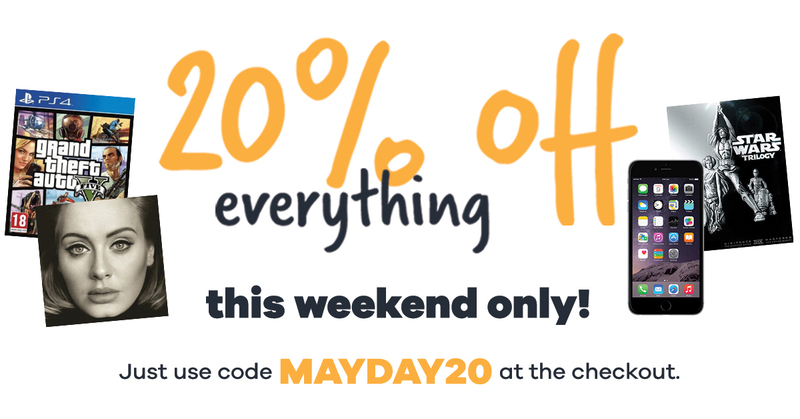 We are currently running an offer of 20% off everything in store, this is an excellent chance to push this promotion on your site and get earning! The offer is now live on site and available to customers running from the below dates! Here at Music Magpie, we’re all about customer satisfaction, providing the best deals and great commission rates for all our affiliates. That’s why this weekend we are concentrating on the 2 for £10 offer which ranges across both CD’s and DVD’s! I thought it would be useful if we listed some of the top selling products that are available with this promotion. Hope you’re well and had a great weekend. As you know here at Music Magpie, we recently launch the Music Magpie Store. With this side of the Magpie site we are concentrating on selling top of the range DVD’s, CD’s and electricals. So not only do we help our customers declutter, we now also give them bargains on top new and used products such as Games, Blurays and iPhones. I thought it would be useful if we summarised the top offers currently on site for store, so that you can get promoting and earning some fantastic commission. 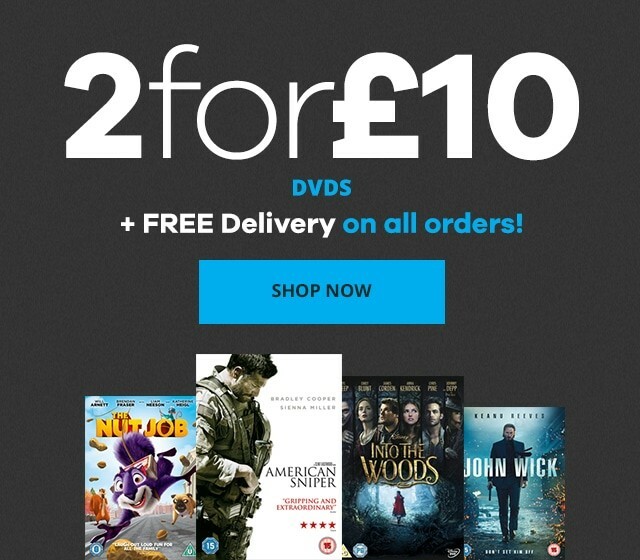 We currently have 2 for £3 on CD and DVD’s + free delivery! Plus since the release of Eddie the Eagle movie, we’ve be revisiting our best of British collection. 20% off Winter Warmers at Kaleidoscope! Here at Kaleidoscope, we want you to be able to ease you into the winter weather as best we can. That’s why until Midnight on Sunday, we’re offering all customers 20% off Winter Warmers plus free delivery when they use the code TN3P. Keep cosy with this classy Shearling Biker Jacket. As trendy as you like, this classy number is completed with winter accessories. We love this sassy Longline Faux Fur Detailed Padded Coat. The inner faux fur will keep you warmer than warm this winter. Check out these items and many more in our fantastic Winter Warmers range. Please don’t hesitate to get in touch at graham.murray@iprospect.com. Featuring the best of our autumn collection, Kaleidoscope is offering 20% off their Autumn Essentials Range using the code TLVP. This offer is available from now until midnight on Monday 28th September. Check out this dress and coat and so much more in the fantastic Autumn Essentials Collection from Kaleidoscope. Look stunning in this satin exclusive print dress with pleat and diamante detail. Team with the satin bolero for that perfect occasion. With contrast waistband, concealed back zip fastening and back vent, this dress is style, sophistication and class all in one. Why not Invest in this season’s must have parka with detachable super soft faux fur trim hood. 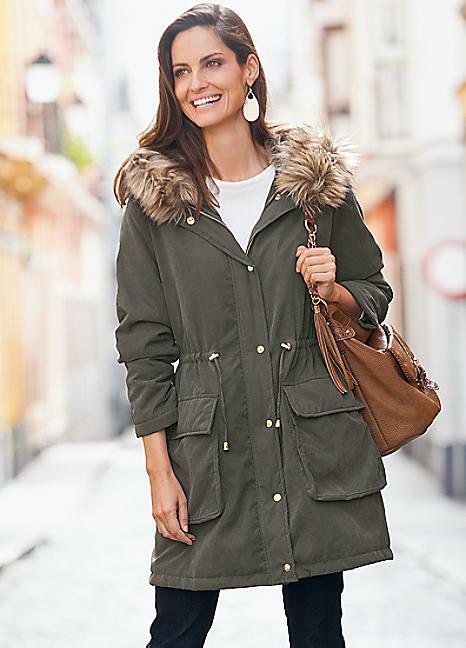 This parka gives you warmth whilst keeping you stylish. With stud back detailing, a dipped back hem and a drawstring waistband with toggles, this style is rich in detail yet practical, thanks to the showerproof and lightly padded fabric. Not yet a part of the Kaleidoscope affiliate program? You’re missing out up to 10% commission! Have you seen our brand new TV advert yet? Featuring the best of our autumn collection, Kaleidoscope are sure to keep you stylish throughout the season. Why not invest in your staple winter coat now? Steer away from black and inject your look with a pop of colour by choosing something bright and bold for a versatile transitional piece. We love this Wrap Coat in burnt orange. 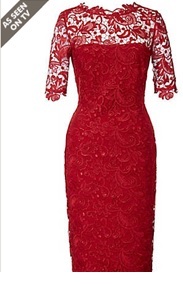 We also love this Exquisite Lace Dress, with a stunning deep v back. Perfect for the upcoming party season, this dress keeps it classy. Right now new customers can get 25% off and free P&P when you open a personal account – just quote RKHP at the checkout! Shop the whole ad here. You may have seen the brand new Look Again TV advert, which is currently running starring presenter and former X Factor contestant Stacey Solomon. Stacey has collaborated with Look Again to produce a stunning collection, with a range of flattering and stylish looks for every occasion. Watch our new TV ad here! We love Stacey’s new range which includes this stylish V-neck Jumpsuit, this elegant Bodycon Cami dress, and this stunning tailored jacket dress. Showcasing the latest collections from stylish brands that you won’t find on the high street, shop our new in collection now for 10% off – simply use the code DROP at the checkout. Alternatively, contact us direct at Graham.Murray@iprospect.com. Get promoting today and take advantage of our fantastic products. If you have any other questions don’t hesitate to get in touch. We hope you are all having a good week! At WITT international we offer timeless high quality fashion that oozes elegance and style. The autumn / winter collection has every occasion covered, there is something for everyone! This Three Quarter Sleeve Top is a must-have for your wardrobe this season. Featuring button detailing, this top is ideal for layering up your look. We also love this Seam Detailed Faux Suede Jacket. Perfect for a casual day trip or an evening occasion with friends and family! Enjoy all these great items and more at WITT international’s ‘New In’ range. Not yet a part of the WITT international affiliate program? You’re missing out on our commission rate of up to 10%! Be sure to check out our profile on Affiliate Window. Next week at Curvissa, you can enjoy 10% off all new in autumn range when you use the code PZ2P. Our range has something for all tastes, with styles that are ahead of the game. 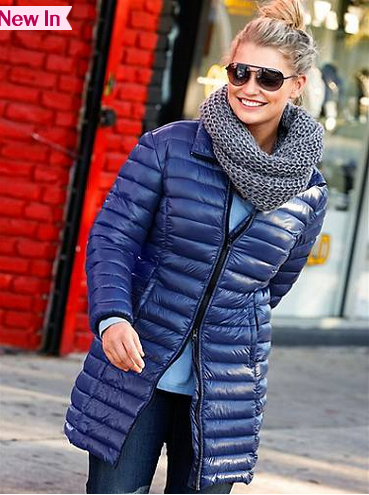 We love this Longline Padded Jacket. Cool, comfortable and convenient – you can fit this effortlessly into the included pouch bag for easy storage. This gorgeous Floral Print Chiffon Dress is a Curvissa favourite. A stunning design completed by the stunning floral print. Enjoy 10% off all these great items and more when use the code PZ2P at the checkout. Not yet a part of the Curvissa affiliate program? You’re missing out on up to 10% commission! Be sure to check out our profile on Affiliate Window. Here at Kaleidoscope, we love a hot new range. Heine is as hot as they come - straight out of Europe; it’s one of the coolest around. This Heine Floral Print Brand is a Kaleidoscope favourite. Rock this with a pair of jeans or casual trousers to complete the look. This Heine Knitted Coat is the pinnacle of sophisticated European fashion. Perfect whether you fancy going for a more formal or casual look. Prepare yourself for a fashionable autumn with our fantastic Heine Range. 10% off Tops at Curvissa! Next week at Curvissa, you can enjoy 10% off all tops when you use the code PYYP. Take advantage of the excellent range now. Rock this classic Long Casual Top. Simple yet effective, this design never goes out of style. Great for any occasion. We’re keeping it simple yet stylish with this Flashlights Print T-Shirt. It’s one of our favourites with its simple yet fashionable style. Enjoy 10% off all these great tops and more when use the code PYYP at the checkout. Here at bonprix, we’re want styles that will get you noticed. Our range of prints features some of the most out there styles around. Turns heads with this Rose Satin Shift Dress. 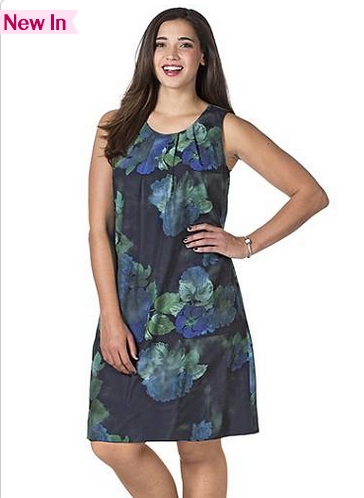 This shift dress with a sweetheart neckline is nothing less than a wardrobe essential. We love this V-Neck Jumper Dress. With a snug yet flattering fit, this one can be dressed up or down, whatever the occasion. Shop our Print Range at bonprix now to enjoy some of our coolest pieces. Not yet a part of the bonprix affiliate program? You’re missing out on up to 10% commission! At WITT international we pride ourselves on going the extra mile for our customers – that is why we are currently offering a free red leather handbag for all of our new customers. Enjoy some of our latest range with this fantastic offer. 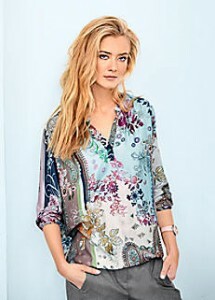 This Eye Catching Floral Print Top is a WITT international favourite. The silky, effortless design and the vibrant colour is enough to brighten up any wardrobe. We also love this Knitted Textured Yarn Jumper which will ease you into the winter months. A classic design that never goes out of style. Simply use the code WZCP at the checkout to take advantage of the free handbag. Here at Kaleidoscope, we are always ready, and that is why our new autumn collection is perfect to ease you into the final few months of the year. Our autumn collection has an outfit for every occasion, from something for a breezy October day to glamorous evening wear. Check out this Linea Tesini Peplum Jacket, it’s as classy as they come. Perfect with a number of outfits and whether you’re going formal or casual, it is an autumn wardrobe essential. We are also big fans of this Faux Fur Coat. Perfect for when the days and nights start to get a little cooler. 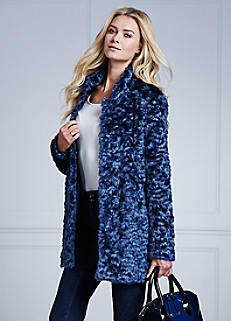 Ease yourself into autumn in style this with elegant coat. Prepare yourself for a fashionable autumn with our fantastic autumn collection. Super summer savers and cheap destinations for your summer holiday! It’s all here at Icelolly. The Icelolly.com YouTube advert launched a couple of weeks ago and here’s a sneak peak of what went on behind the scenes on the day we filmed the ad. Here at Look Again, we don’t do bank holidays in half measures. There are so many reasons to shop at Look Again thanks to our bank holiday bonanza. 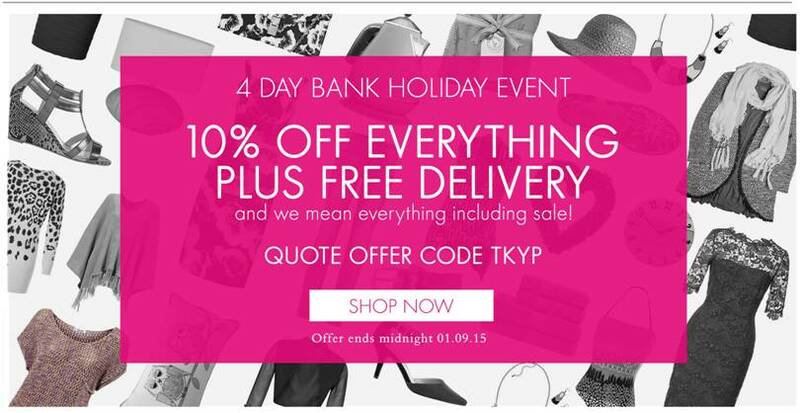 Enjoy £10 off an £80 spend using code R7NP. Why not go for £15 off £100 with code R7PP? Or £20 off £120 with code R7QP? On top of this, we have 10% off new in. Make the most of this by using code DROP at the checkout. Don’t miss out – bank on Look Again this weekend. 10% off Denim Collection at Curvissa! Curvissa’s excellent denim collection can now be enjoyed for 10% less! Make the most of 10% off the denim collection when you use the code PYUP at the checkout. Our denim collection includes not only denim classics, but also a range of pieces to wear rock with your denim favourites - there’s a style for everyone. 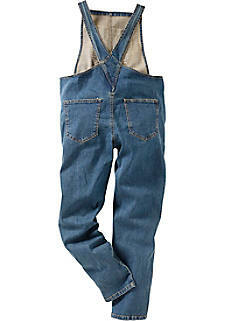 We love these casual denim dungarees! Prove that anyone can rock a pair of dungarees with this old school design. This short edge to edge blazer is a real classic, and the perfect jacket to pair with your favourite jeans, to take you from day to night! Enjoy all these items and more for 10% less when you use the code PYUP at the checkout. Not yet a part of the Curvissa affiliate program? You’re missing out on up to 10% commission! Article of the Week….UK Breaks for August Bank Holiday. 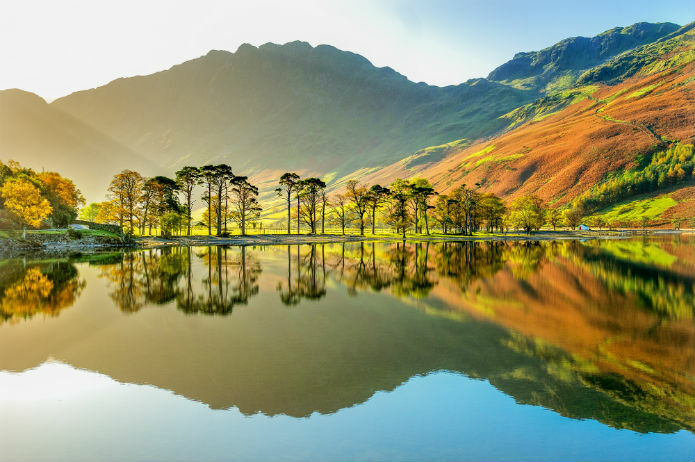 As prices rise for flights around the August Bank Holiday why not look as taking a break in the many scenic parts of the UK from, city breaks to the mountainous regions of Cumbria, Scotland and Wales.. This week we are getting summer ready with the WITT international holiday shop. Featuring everything you could ever need to get you holiday ready. WITT international’s Peplum Palm Leaf Print Swimsuit has got us dreaming of shores afar. This pretty peplum suit will bring some glamour to the pool this summer, with its flattering shape and ruffle trim. Featuring an eye-catching print and a deep scooped back, all you need now is the beach! We can’t get enough of WITT international’s Sequin Panel Beach Dress , its minimal design will keep you looking sleek and stylish all holiday. With a classic A-line shape, the sequin embellishment oozes elegance, taking you from the day through to the evening. This dress is so versatile and is the perfect essential for your wardrobe this summer! Nautical is one of this season’s hottest swimwear trends, and here at Swimwear365 we can’t get enough of the summer favourite. Our nautical collection features a variety of styles and shapes, to get you beach-ready in no time. This Venice beach navy striped push-up bikini, keeps thing sleek and simple. We can’t get enough of the classic design, modernised with sailor-inspired knotted details. With a halter neck top that clips at the back for added ease, this bikini has padded cups to help you look and feel your best. We also love this s.Oliver red and white striped bikini. The dainty design is complete with cute ruffles than run along the waist band and across the cups. The halter neck strap rises from the centre of the top, adding interest to the pretty design. With so many gorgeous items in the Nautical Collection, all you need now is a beach! Not yet a part of the Swimwear365 affiliate program? You’re missing out on our 10% commission rate. Plus, we’ve got some fantastic joining incentives! Famous for its vibrant nightlife and award winning beaches. Magaluf is truly the party capital of Majorca.